THE NUMBER of new jobs in the West Midlands has grown faster than anywhere else in England over the past 12 months – but the region’s rate of unemployment is the highest outside of London. More than 75,000 jobs were created in the region between June 2017 and June 2018. New figures from the Office for National Statistics (ONS) show a 2 per cent rise in employment year-on-year in the region. 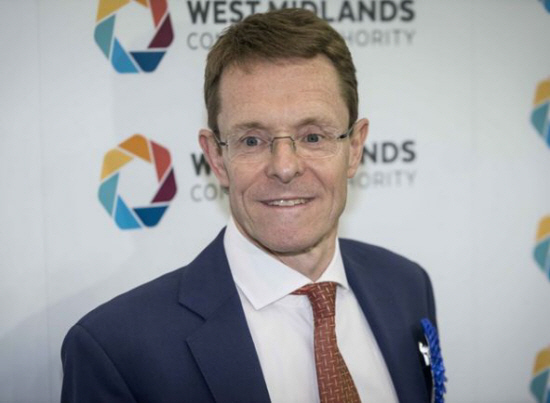 Mayor of the West Midlands Andy Street said: “The latest figures again underline the progress this region is making in terms of job creation. Significant challenges remain, however. “While job numbers are rising and the economy is growing, unemployment remains stubbornly higher than elsewhere and youth unemployment is particularly challenging. The ONS publishes the latest regional labour market statistics in the UK each month to help gauge how some aspects of the economy are performing. · The employment rate estimates for those aged 16 to 64 for May to July 2018, compared with February to April 2018, showed the largest increases were seen in the West Midlands and North West, both at 0.8 per cent. · The UK region with the only increase in the average hours worked, compared with the same period last year (April 2016 to March 2017) was Yorkshire and The Humber. The largest decreases in the average hours worked were in the West Midlands and the South West, both with a decrease of 0.6 hours (a percentage decrease of 1.8 per cent). · The highest unemployment rate in the UK for May to July 2018 outside London was seen in the West Midlands at 4.6 per cent. · The largest decrease in unemployment rate estimates was for the South West at 0.7 per cent followed by Wales at 0.6 per cent and then London, the East of England and the West Midlands, all at 0.5 per cent. · The region with the largest decrease in the inactivity rate in England was the West Midlands, at 1.3 per cent.